The guys over at Venture Beat know that it is hard damn work being a video game character and that these guys don't exactly have time for the simple things in life like trying to find a date. They also know that video game stars can be quite famous and have lots of admires. 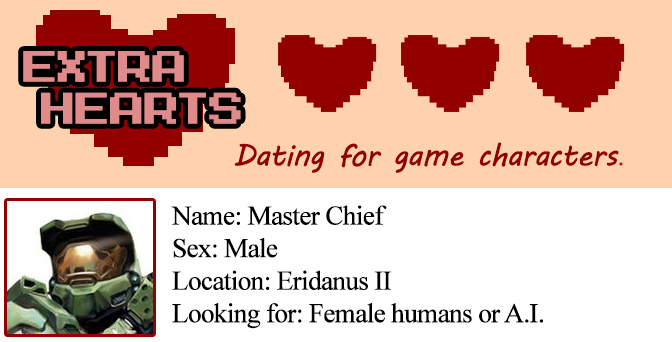 So in order to help out the guys who make our video game experiences so much fun they set up Extra Hearts, an online dating service for the faces of the video game world. The results are absolutely hysterical.You can see the profiles for the likes of Peach, Kratos and more by clicking here, but the funniest one has to be Master Chief from Halo. 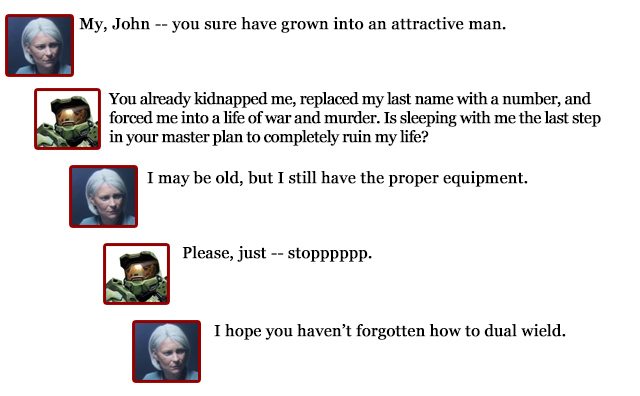 In honor of the release of Halo 4, here is his profile after the jump... Good luck Chief, you deserve to settle down!!! Likes: Shooting, driving, and sleeping in. Dislikes: Onion rings, hula hoops, donuts, bagels, bracelets, wheels, and Cheerios. Why I’m here: I’ve been going at it solo for a while, but everyone tells me I’m more fun in multiplayer. Our first night: I can go all night as long as you give me time to regenerate. Politics: Green party. 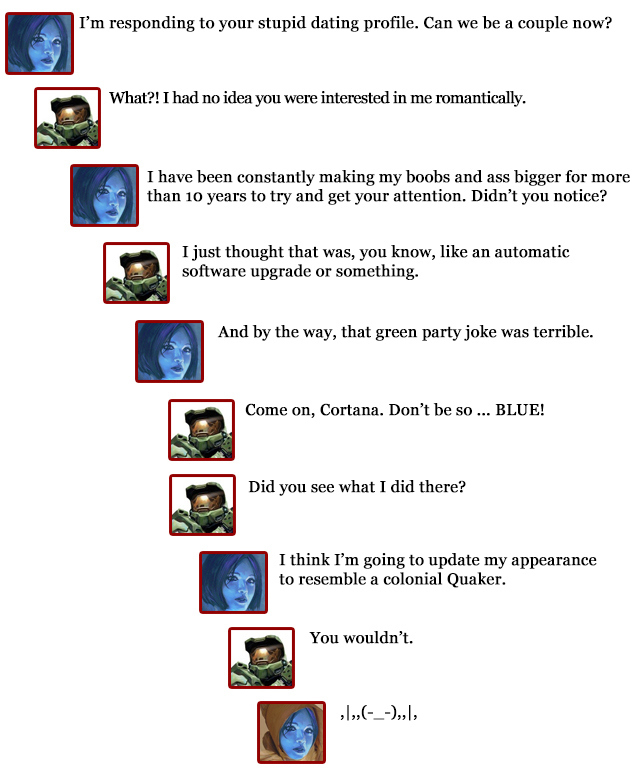 SEE, CORTANA?! I DO HAVE A SENSE OF HUMOR! Faith: I believe in believing. Believe.